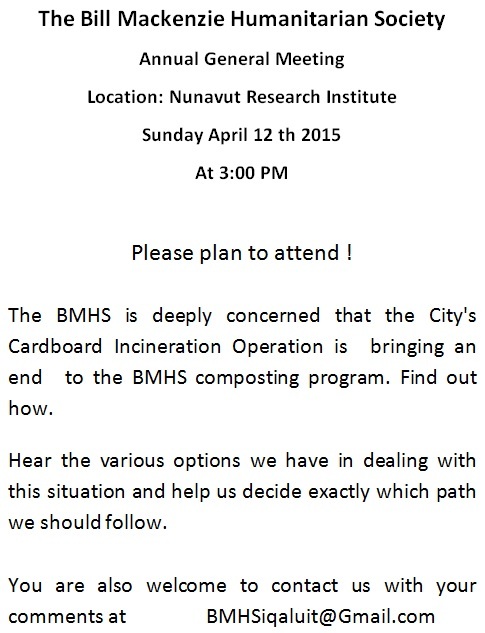 On the heels of our own successful AGM, we encourage you to attend the AGM of another worthy organization in Iqaluit. The Bill Mackenzie Humanitarian Society will be meeting tomorrow at 3 PM. There will be some extremely important waste management issues discussed and the BMHS needs your input!